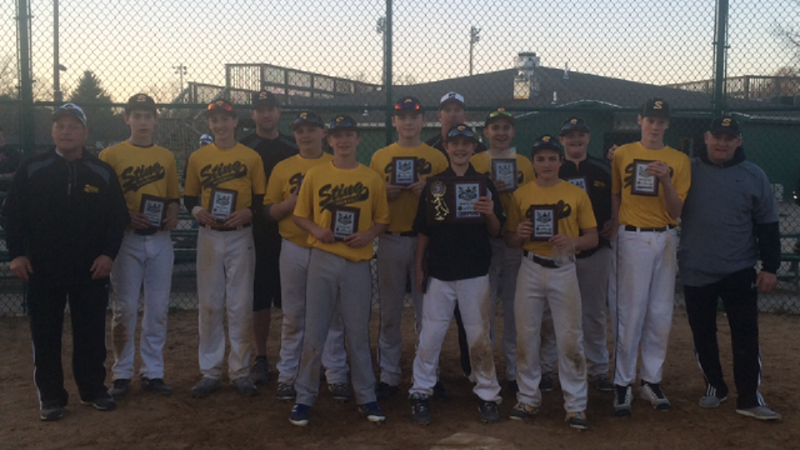 14U Black Tournament Champions at the Nations One Day Challenge on March 26th. Since 1991, Franklin Cabinets and Booth Seating has been a leader in restaurant seating and booths, cabinetry, countertops and bars featuring the finest quality by only using top grade materials and finishes. Franklin Cabinets and Booth Seating is distributed by the top restaurant equipment dealers in the country and supplied to some of the best growth restaurant chains throughout the nation. A proud "Silver Level" sponsor of the 2015 Dayton Sting 13U team. Matt Castrucci Auto Mall of Dayton is a new and used car dealership in Dayton, OH, and we also serve the surrounding communities with all of their transportation needs. If you have been searching for a new or used vehicle and want the best service and most affordable prices, Matt Castrucci Auto Mall of Dayton is the place. We pride ourselves in our commitment to provide every customer with the service they expect and deserve. Here at Matt Castrucci Auto Mall of Dayton we carry a wide variety of new cars, SUVs, trucks and hybrids from many of the major car companies. We offer the full lineup of vehicles from Honda, Nissan, Mazda and Kia so whatever type of vehicle you are looking for, we’ve got you covered. We also carry a large selection of used cars in Dayton, OH. We hope you give us a chance to prove to you why we think we are the best new and used car dealership in Dayton, OH. Proud "Silver Level" sponsor of the 2015 Dayton Sting 13U Baseball team.